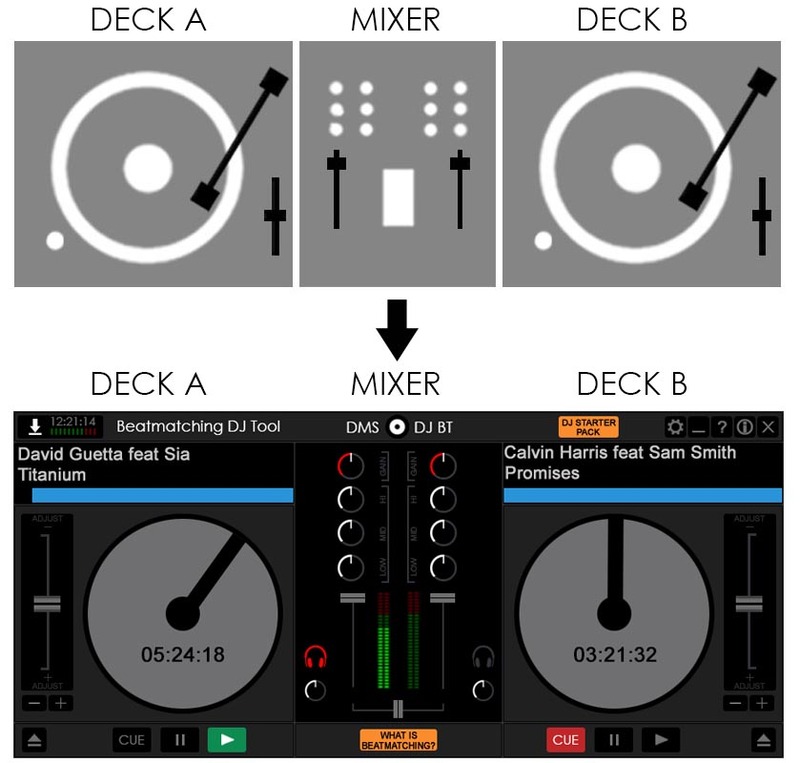 … A tool to learn the basis of the DJing. ” Beatmatching is a mixing technique that allows to synchronize the tempo of the tracks, superimposing the beats on top of each other”. Basically “beatmatching” we can do it with “Sync” button, but if you want to become a DJ, you have to learn the basis of this job. How can we play like a turntable with a digital tool? We simulate the same features like a turntable: double deck with big jog wheel (plate), pitch, pitch bend, and also a simple mixer. That´s all you need… And the most important, a lot of practice and patience. Just discover and practice to learn an become a DJ. DMS DJ BT is not a DJ Software, is a complementary plugin of DMS DJ and a tool to learn the DJ basis. How to use with DMS DJ? DMS DJ BT is an independent program, but also you can use as pluging, just by clicking “Training” button (on the right top of the DMS DJ header).